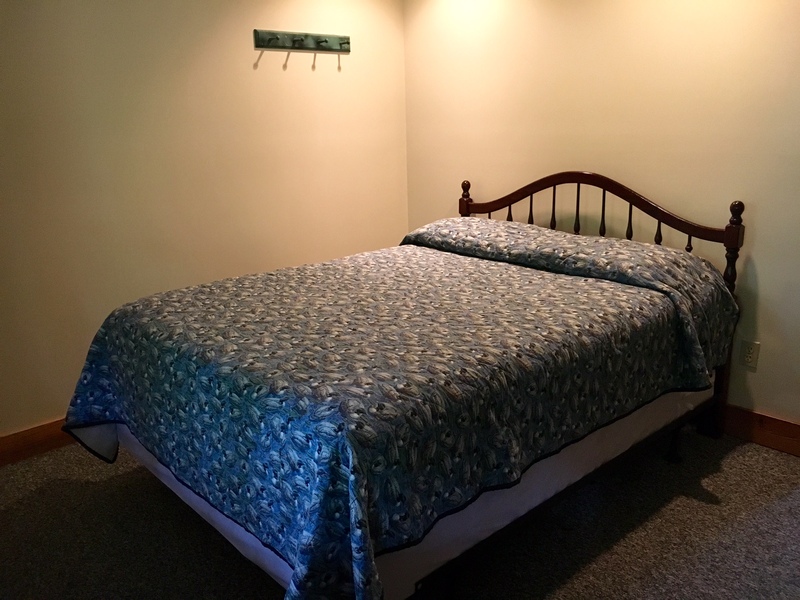 The Cotton Gin Inn, a modern lodge, is located where the Cotton Gin Mill once stood. 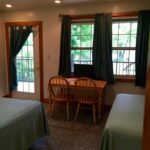 The Inn features eight, two-room suites capable of accommodating up to six guests each. 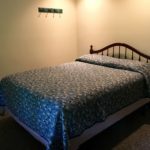 The rooms in the Cotton Gin Inn have been recently updated. 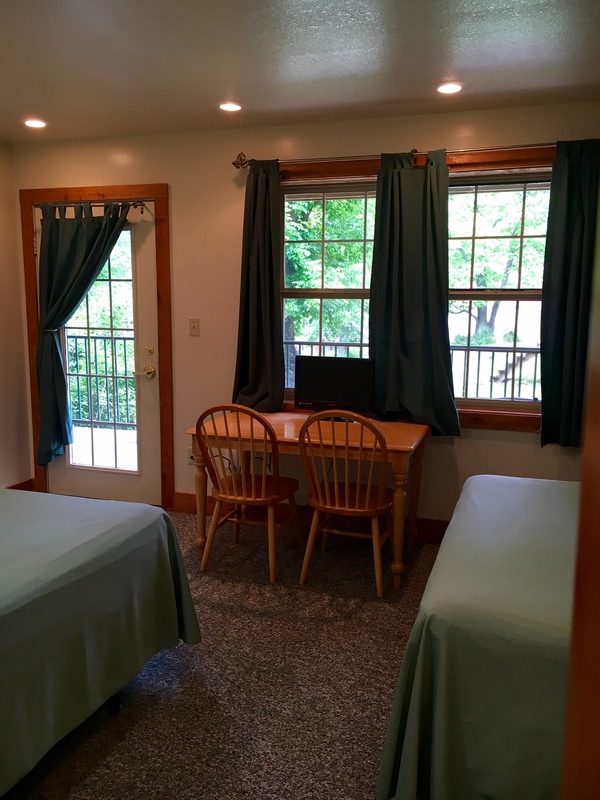 The rooms feature 3 queen size beds and private exit to the deck. 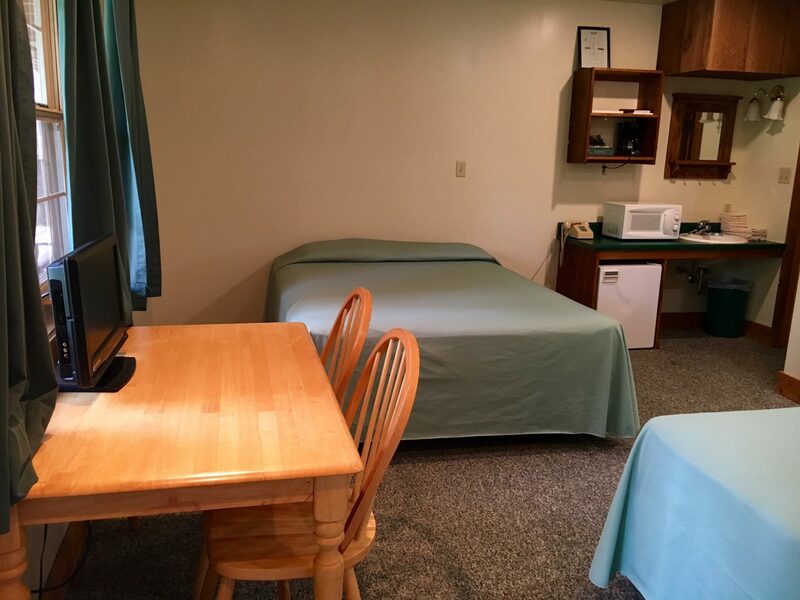 The open room is equipped with a table, chairs, and two queen beds while the third bed is in a private back room. 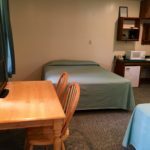 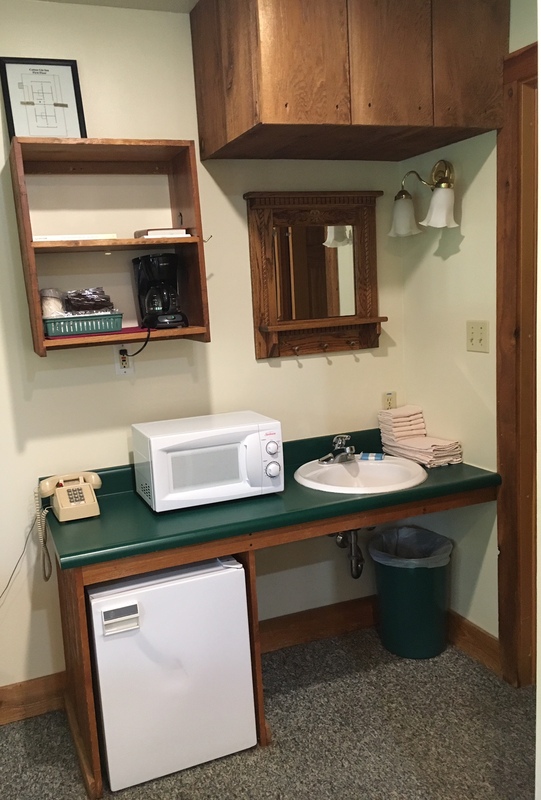 Amenities include air conditioning, hair dryer, microwave, coffee pot, and mini refrigerator. 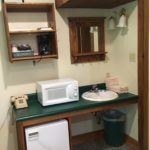 Click on thumbnail photos below to view the Cotton Gin Inn.